The nut you see at the center of the picture is what I believe to be a major potential screw up in the Royal Enfield Himalayan. I say this because it needs to be torqued to a right value so that it doesn’t come loose. If it comes loose then the woodruff key locating the crank to the flywheel shears and the crank refuses to turn when you fire the electric starter motor. Without a kick start you are left immobilized. Jump starting the motorcycle is impossible since the crank isn’t rotating. While replacing the coil of Altaf Khalifa‘s Himalayan at the Royal Enfield dealership in Ratnagiri, he asked the technician to check if the nut was torqued properly. The technician found a ring spanner, slotted it around the nut and whacked the spanner with his hand. No torque wrench. I’m not sure if he even knew what a torque wrench looked like. And this isn’t a roadside mechanic who uses brute force for any and everything. This is a supposedly trained and certified technician at an official Royal Enfield workshop. If this is the way certified technicians work on motorcycles then Royal Enfield should have used a lock nut instead of a regular cheap nut. 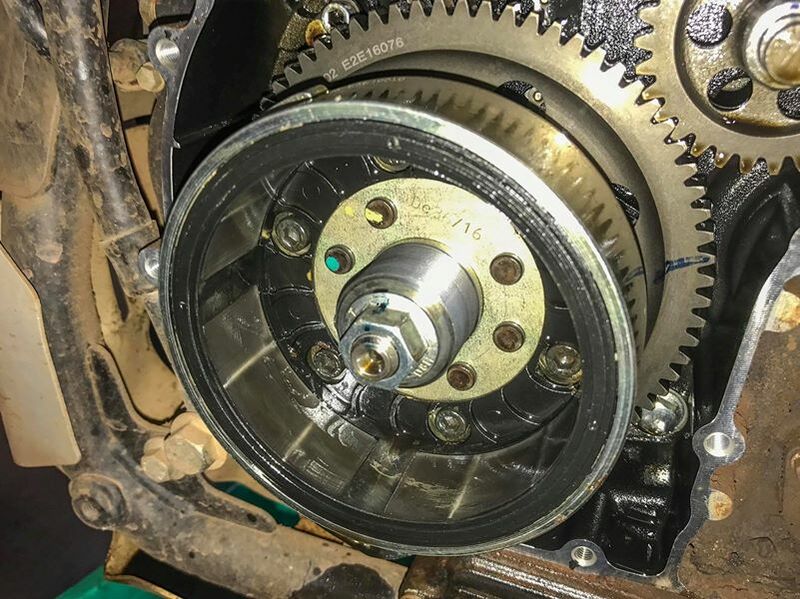 If you own a Himalayan, then next time you take it for a service, ask the technician to use a couple of drops of loctite or something similar to secure this nut properly. If you don’t own a Himalayan, do your good deed for the day and share this with someone who does.